Monthly Clothes Less Traveled awards a volunteer who goes Above & Beyond the call of duty. 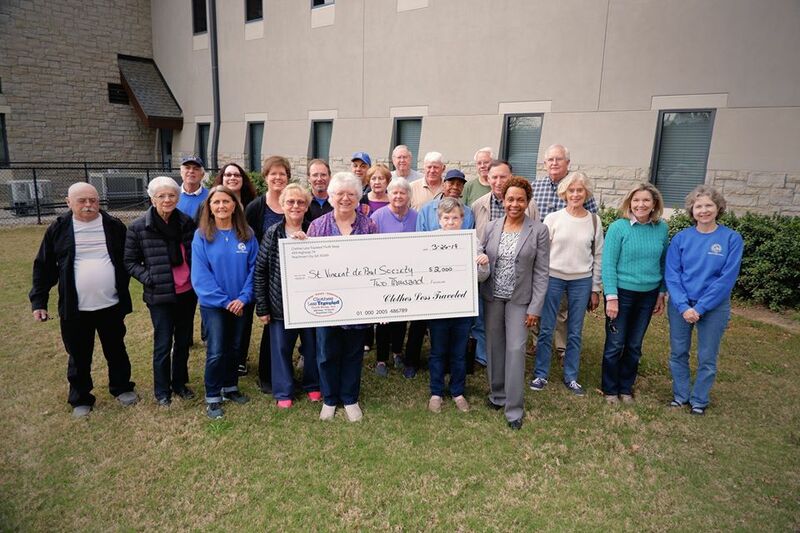 Winners are given $2,000 of Clothes Less Traveled grant money to donate to one local charity. Our January winner was Mrs. Chris, and this week she presented her check to Saint Vincent de Paul at Saint Gabriel. 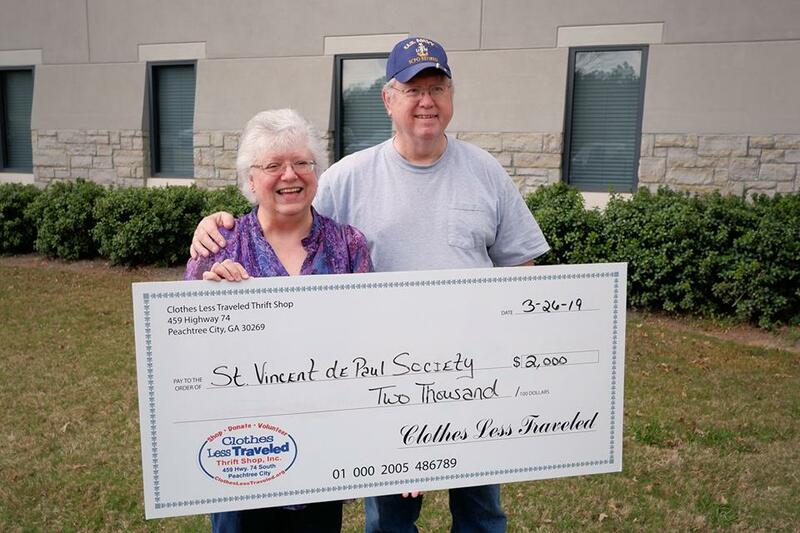 The Saint Vincent Society works directly through Clothes Less Traveled with our voucher program. With their help, we gift donated merchandise to those in need in our local community. Click on the What We Do tab to learn more.